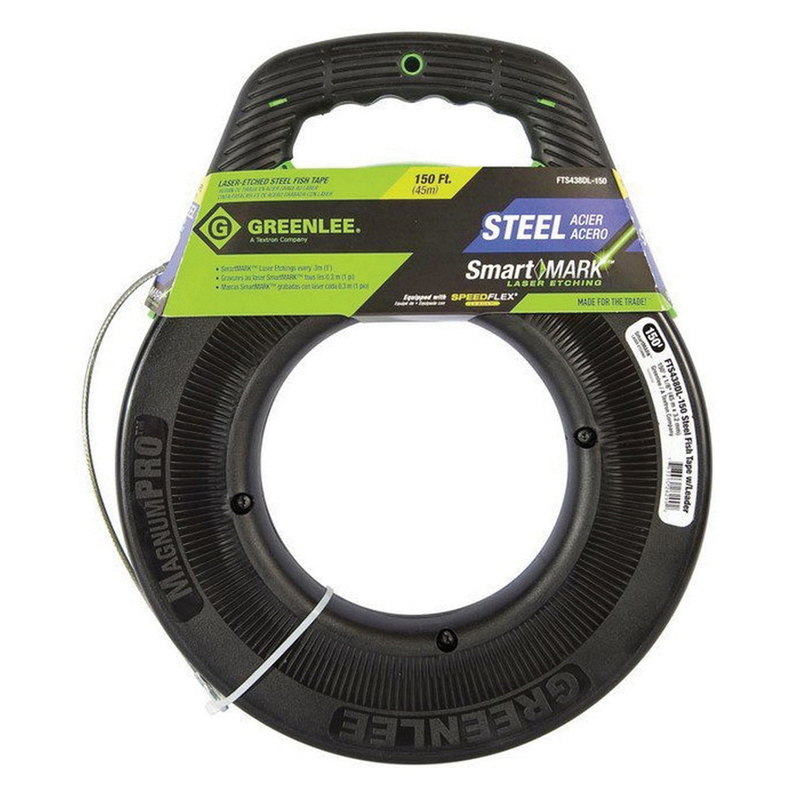 Greenlee Smartmark™ Laser etched fish tape with SpeedFlex® leader, features steel construction. It has dimension of 1/8-Inch Dia x 150 ft. Advanced overmolded comfort grip and rugged case design of this fish tape ensures safety without compromising fishing performance. Viewing ports of this fish tape allow you see amount of tape remaining in the case. It comes with 12-Inch Dia plastic case.